Sustainability Advertising: Sheep and Yaks? 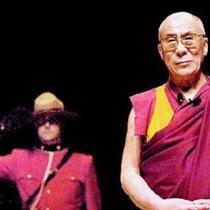 His Holiness the Dalai Lama came to Vancouver this weekend. He came to speak about global and social issues. The weekend began with a dialogue between the Dalai Lama and high-school students. The Leader’s Dialogue was on Saturday and Sunday. It was basically a series of small group conversations among prominent national and international business leaders and social innovators. Though these are not things I would normally associate compassion with, that was his central theme. Compassion as the central element of life, in business and pleasure. His holiness hopes to spread this knowledge through his education center, The Dalai Lama Center for Peace and Education, which he opened this weekend. There are webcasts of some of the dialogues available on the Center’s website. (Vancouver Dialogues 2006) It was these corporate and social leaders that his Holiness referred to as sheep and yaks. Apparently he was the Yeti.